At Collabforge, we work with a lot of established organisations to help them adopt a more collaborative way of working. But what if we were to design a new collaborative organisation from the ground up, using the latest frameworks and technologies? What would that look like? Collabforge is one example, but perhaps a more radical example is a collective that started in Wellington, New Zealand, known as Enspiral. In recent months, I’ve gotten to know Enspiral a lot better, and am keen to share some of what I’ve learned. That’s just the beginning. Perhaps the most interesting aspect of Enspiral is the way these ventures all come together under a social and economic framework to mutually support participants in having a positive impact on the world around them. All of this adds up to a very powerful and exciting model for what a new way of working could look like. Perhaps the most critical component of Enspiral, however, is the deep trust and empathy that is cultivated between Enspiral participants. Much of the network lives in a closely knit community in Wellington, New Zealand, sharing a number of coworking office spaces throughout the city. Whether it’s living together in share houses, holding community dinners, or throwing great parties, these deeply personal connections are an important part of the glue that holds everything together. There are also individuals and small clusters of Enspiralites spread all over the planet, who are able to participate remotely thanks to Enspiral’s powerful digitally-enabled collaborative processes. Twice a year, a large portion of the Enspiral network – including some who are overseas – gathers for a retreat. The retreat is carefully designed to strike a balance between time for exploration, play and connection, and time for solving some of the network’s most pressing challenges. 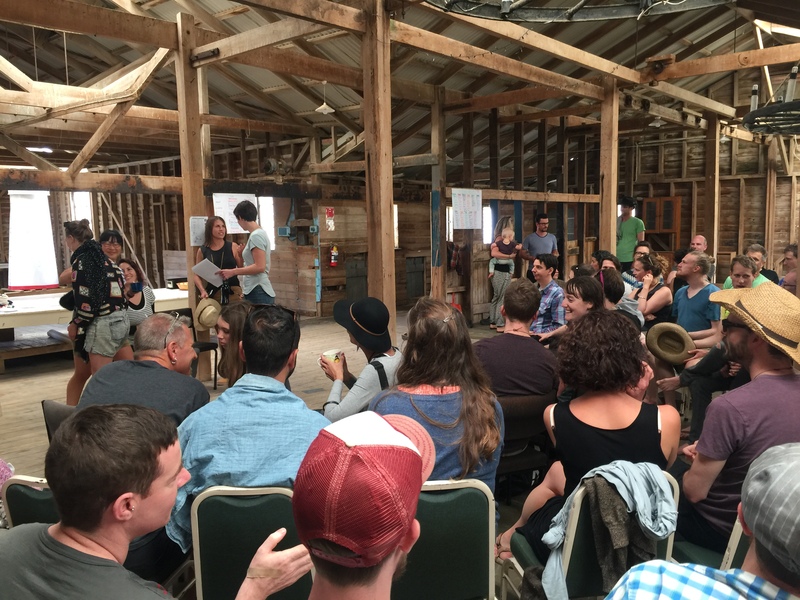 I had the good fortune to be invited to the retreat this year, the tenth so far, and it became clear to me just how important this event is in creating the human conditions to make radical collaboration and innovation possible. I left with lots of new ideas about how Collabforge could work, and how to help our clients. At the same time, I was able to bring a lot of insights from Collabforge theory and practice into the Enspiral network. This really brought home for me the value of well-designed time for reflection, connection and integration in any organisation or network that seeks to be more collaborative. 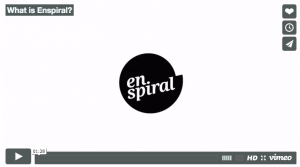 If you’re keen to learn more about Enspiral, browse their website, and read up on the copious insights they’ve published through their Enspiral Tales collection on Medium. This post was completed with edits and comments from Enspiral members including Alanna Krause and Joshua Vial, the Collabforge team, and Allie Stapleton.